Over the years, New Balance has carved out a very specific niche in the sneaker industry. Without the same hype that surrounds top tier Nike and adidas releases, the Boston-based brand focuses on luxury as well as the combination of head-turning color palettes to entice a new crop of customers as well as reward its loyalists with dependable and intriguing product. 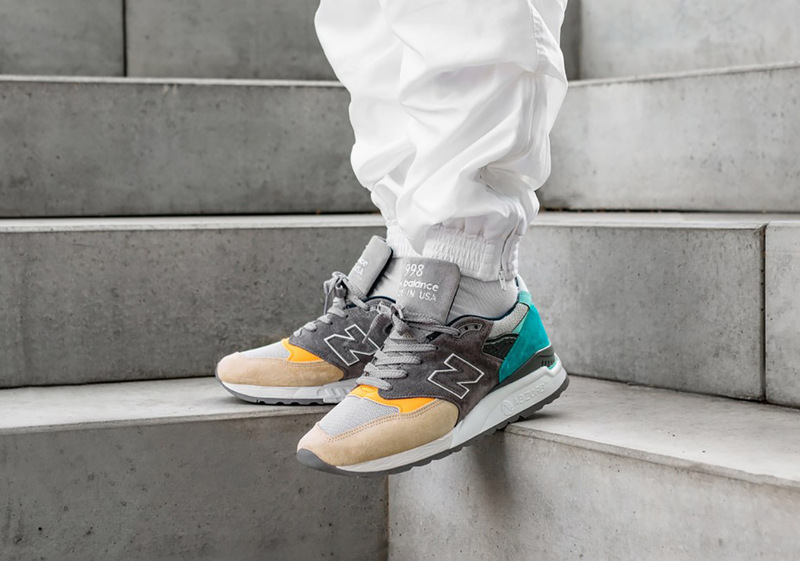 Sand and aqua tones get ushered in on this particular New Balance 998 to create a nautical vibe ready for the beach with the sand, water, and sun represented, while coming offset by numerous shades of grey. Furthering this iteration’s luxe vibes is the New England mainstay’s “Made In USA” tongue tag, further guaranteeing the utmost in quality. Overseas retailers are reporting a release coming soon, so enjoy a look below and keep it locked for updates.